I couldn’t wait to finally share these Persian meatballs, courtesy of my bff who came to visit a few months ago. She was out first house guest since we moved to Washington and knows how much I LOVE, love Persian food and gifted us with a can of sabzi koufteh. Sabzi, meaning vegetable or greens in Persian is a blend of exotic and aromatic herbs, such as tarragon, leek and cilantro. There are different sabzi blends, but this blend is specifically for koofteh and tastes as such. 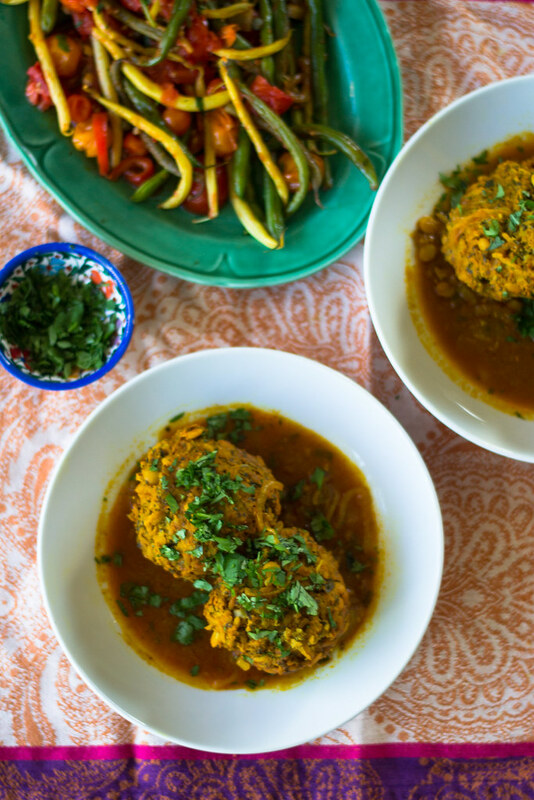 Koofteh are filling and flavorful meatballs mixed with split peas and rice and simmered in a gorgeous tomato-turmeric broth. You can find sabzi at many Mediterranean stores and of course online. I’d highly suggest using the dried herb blend in lieu of fresh, more expensive herbs since you would have to buy a lot for the recipe. A true one-pot meal, serve these Persian meatballs with sauteed vegetables and (my twist) some crusty bread to dip in that glorious tomato turmeric broth. 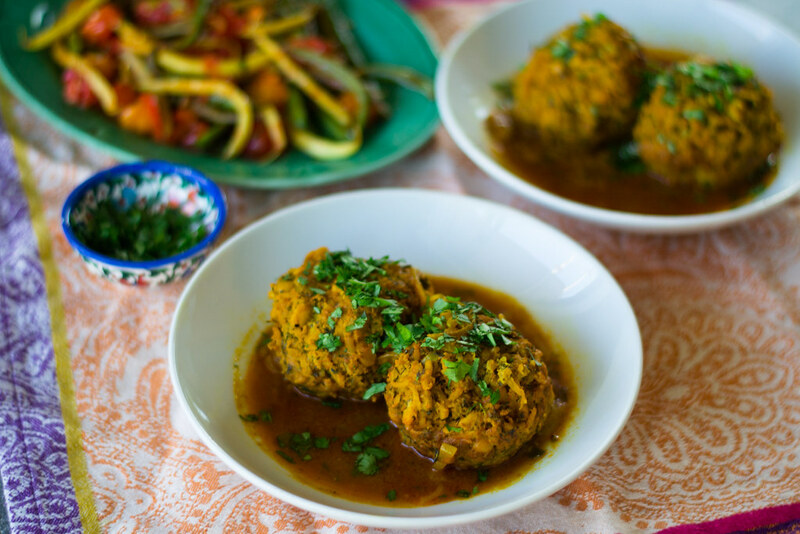 Check out the full recipe for these Koofteh (Persian Meatballs) on The Nosher!